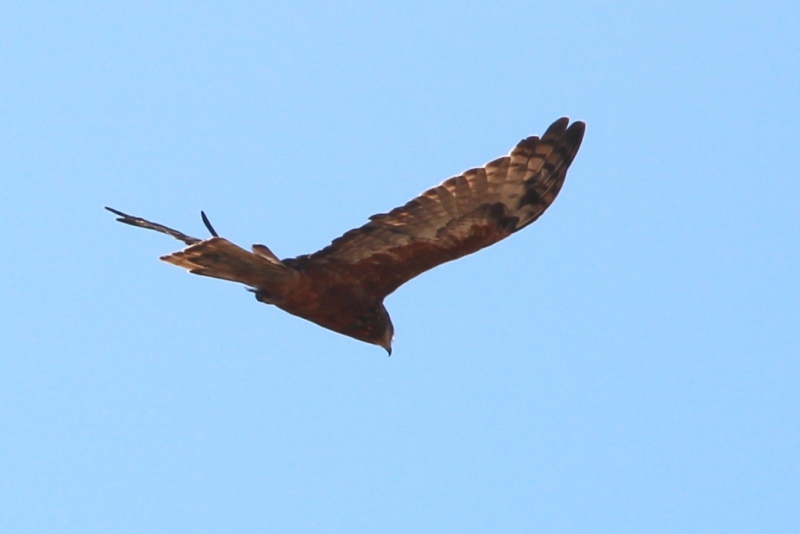 This Little Eagle was soaring over the property for a couple of hours this morning. While I was mucking out the stables just after 7, three noisy magpies chased it away and I was cursing the fact that I didn’t have the camera. Luckily my bird spotter Brad saw it through the living room window during breakfast and I was able to rush out and get a couple of shots. I got a good angle from the back to show its flat wingspan – it was out of focus and through the trees – but the shape of the wings helped identifying it. It is similar to the Whistling Kite, but their wings kink at the wrist.